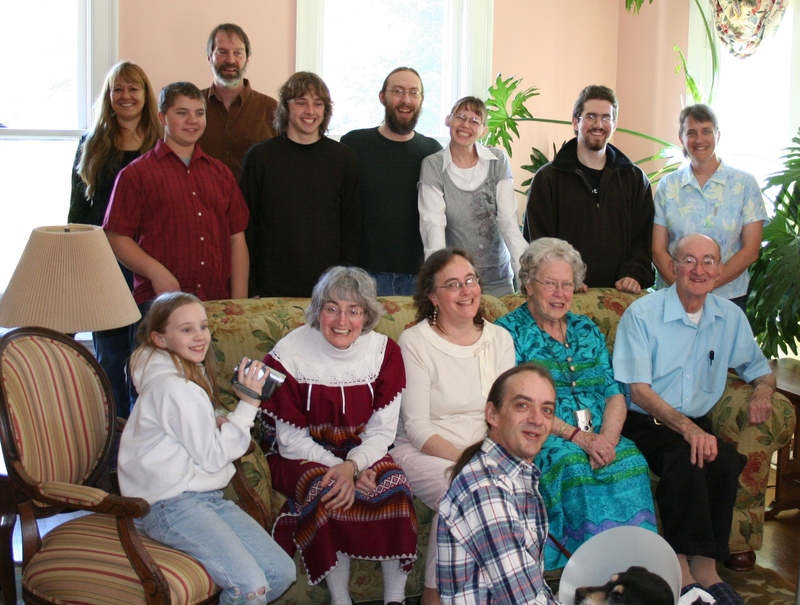 Easter Sunday, 2007. Daddy is on the far right of the couch in the light blue shirt. I lost my dad on April 23, 2007. As a family, we knew it was coming because he had decided to stop dialysis after one year. Three days a week he was tethered by tubes to a machine for four hours. The machine would do the work his kidneys could no longer accomplish due to the ravages of diabetes. A good man of sound mind, he made the decision for himself. As his children we were glad he could make this decision, but we knew it would mean we would no longer have him and his sense of humor and his love for high notes. We were all by his bed in the hospice house when he took his last breath. We had been sitting with him for thirty hours, rushing there when the nurse told us to come. He wasn’t awake. His breathing was labored. The end was coming. It was the most precious time we have ever had as brothers and sisters with this man who had brought us up day by day. Since Mom died in 1966, it was his love and persistence and faith that held us together without her, and it was that same love and persistence and faith that brought us to his bedside for that very long night. We lost him that early Monday morning eight years ago. And as I was supposed to receive his ashes back after the anatomy department was finished with him and then never did, I thought, “Well, I guess he won’t get to lay next to Mom at Calvary Cemetery.” It was okay. I knew where he was and that Mom was there with him, rooting us all on in the lives we had left to lead. And then Daddy came back to me. My stepmother had apparently been the recipient of his ashes back in 2008. She recently passed away and my sister-in-law asked me what to do with Daddy’s ashes. “You have them?” I asked, astounded at the information. “Yes. We can put them in with Pat, or you can have them back,” was her end of the conversation. Knowing that my sisters and brothers would, like me, want them with Mom, I asked for them back. My lost father is now in my laundry room. I need to convince the cemetery to let us bury them with Mom and our sister Cathy, who are resting side by side. Again, I know my dad’s essence is not in those ashes. Mom and Cathy are not in the ground. They are all living in heavenly glory, free of the grief and pain and troubles on this side of life. But there is a place we can gather as a family when we need to to remembere them together. There was no impediment to us gathering to sit with Daddy in the moment he passed. Some had to come from miles away, but good roads and peaceful times make roads shorter. And I think sometimes we take that for granted. It’s 2015, for Pete’s sake. There is nothing hard about traveling from one side of this big country to the other. I pray that it would be that easy in other parts of the world. My friend Hala lost her father this past week. I pieced it together from the weirdness of Facebook’s Arabic translation and the photos Hala had posted of her dad and her on her wedding day and when she was a child. It became very clear when I saw photos of his service posted from the church in Aleppo, Syria. I knew it was Aleppo because Assis Ibrahim was in the pictures. Again the Arabic translation indicated that the coffin pictured contained the earthly remains of a person named Bitar, which is Hala’s last name. It was confirmed when I exchanged messages with this dear sister in Christ. And so I am grieving with and for Hala and her family. Grieving for the loss of a father, something I know well. But my grief for her is compounded by the circumstances of this death. You see, Hala lives and works in Beirut. She is an amazingly gifted and educated teacher at the Beirut Evangelical School for Girls and Boys. She teaches religion and leads chapel services for students who are Christian and Muslim. 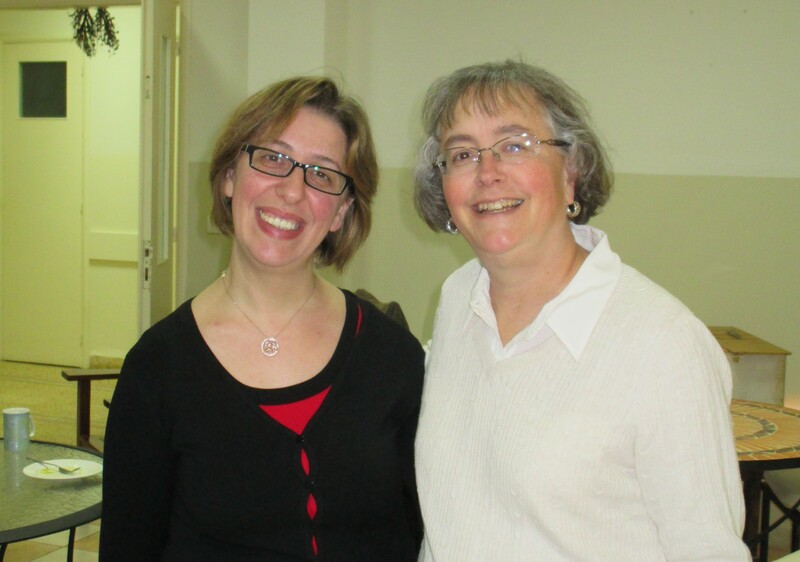 I have been the recipient of her gift of teaching as she led our summer group of women in a study of the book of Ruth. Hala lives in Beirut, but she is from Aleppo, and that is where her parents live. Aleppo. Syria. Where war has destroyed 60% of a city of two million. There are no safe roads in or out. And so where me and my brothers and sisters could gather at my father’s bedside in response to a phone call in the middle of the night, Hala could only pray and grieve from a distance. It used to be only a few hours’ drive from Beirut to Aleppo. Now, it is a journey that is impossible. I am grateful that there was a church community to celebrate the resurrected life of Edward Bitar with his family still in Aleppo. There was the family of God to grieve his loss in Hala’s absence and to comfort her mother as the man who said, “I do, in sickness and health, in good times and bad, till death do us part,” was laid to rest. These are the tender mercies of life in Christ. My father’s name is Edward Bitar, and my mother is Najah. We are four in the family, Amal, Bashar, Manar and me. My father was more than a father, he was my example of faith and love. He never received a day without the Bible in his hand, and never ended a day without having his knees down to the ground praying, asking for blessings. He was a teacher, but not like any teacher I ever met. He taught English, he dedicated his time to his students and us. He used to go around from one library to another to check out new novels and we were his first audience and listeners. His memory, his picture, his smile, his hands touching my face and head will never leave my eyes. His spirit is a source of joy, and I will never forget him. Having a father like him was so helpful to understand the meaning of the word “the fatherhood of God.” I will never forget him Julie. I will never. Fathers loved. Fathers lost. Tender memories of times shared and lessons learned. My prayer for Hala is that peace will return to Syria, and the road from Beirut to Aleppo will be as in the days of her childhood. That she will be able to travel that road and sit by his resting place, mark it with flowers and in the silence, hear his gentle voice and leading. She will know that she can depend on the Lord, the same one she learned of from Edward Bitar. This same Lord who was beside him, and continues to be by her side and by mine. The Father who finds us. We are sisters in him.